When walking, sitting down, or getting out of a chair hurts, and other simple activities become painful, it might be time to consider hip replacement surgery. Once upon a time, this was reserved for elderly patients, but it now is routinely done do help younger patients who want to maintain and active and healthy lifestyle. With advances in surgical techniques and materials, minimally-invasive hip replacement surgery offers a much easier recovery. The days of an 8-12 inch incision have been replaced by pioneering doctors who can use a 3-4 inch incision and minimally-invasive techniques to preserve muscle and speed healing. In fact, more than 300,000 people will have hip replacement surgery this year alone in the United States. Sometimes patients may be hesitant as they are not quite certain what to expect after surgery. The good news is that the more you understand about the recovery process ahead of time, the easier the process is. Within a few hours after surgery, physical therapists will have you up and walking right away. Early mobility helps patients to recover better and faster, and is the absolute best medicine to prevent issues like blood clots that can be caused by immobility. With the benefits of accelerated recovery pathways, patients typically either spend just one night in the hospital, or have the procedure as an outpatient and are discharged to recouperate comfortably at home on the same day as their procedure. As with any orthopedic surgery, physical therapy plays a vital role in healing a new hip, which is why doctors want patients to begin walking as soon as possible after surgery. Structured physical therapy begins in the hopital or outpatient surgery center, and then continues with formal outpatient physical therapy after that. The benefits of early therapy translate into aiding and speeding the recovery process, increased flexibility, increased circulatory benefits, and better and faster healing of muscle strength that enhances the hip’s function and overall function. Physical therapy starts off with basic mobility exercises, and then progresses to more advanced strengthening and movement exercises, helping you to return back to your daily activities including sporting activities, hobbies, and family and work life. Shortened recovery times with use of minimally-invasive surgical techniques and rapid recovery physical therapy protocols can help you get you back to normal life as quickly as possible. In fact, when most people wake up from surgery the pain they had before is gone, substituted by a more minor muscular soreness which is nothing compared to the pain and dysfunction that was present prior to the procedure. When you first get home after surgery, having someone there with you for the first week or two to assist with some basic needs is important, but most patients regain independence very quickly. In the first few weeks after surgery, physical therapy helps you transition from a walker that is used for stability, to a cane, and then nothing. At your two week follow-up any stitches or staples will be removed. As you continue physical therapy and get stronger you will be able to increase your activities, including resuming most low-impact activities without pain or limitations. 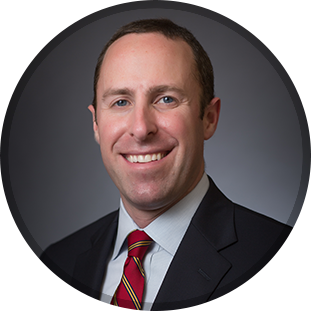 As a board-certified and fellowship-trained orthopedic surgeon, Dr. Brett Gilbert specializes in minimally invasive, muscle-sparing hip and knee replacements, plus a wide range of other treatment options for hip and knee arthritis. To learn more about the advanced treatment options Dr. Gilbert offers, please call (919) 788-8797 to schedule an appointment, or fill out our online appointment request form now. Whatever the cause is for your hip pain, don’t let another day pass without resolving it! We look forward to helping you get back to enjoying an active life once again.